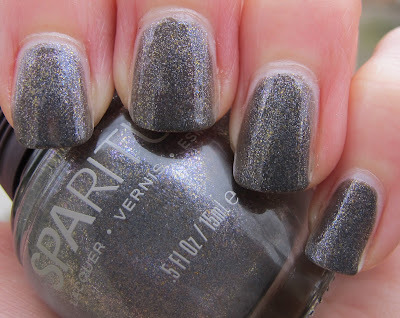 I know SpaRitual Sacred Ground is a polish you saw all fall, as it was released with SpaRitual's Fall 2011 Wilde collection, but I'm posting it anyway. If you haven't gotten around to picking it up yet, you really should! I don't know why I didn't order it right away, but I'm glad I finally did get it. Sacred Ground is an interesting lavender gray shimmer polish. The shimmer looks like it's all different colors. 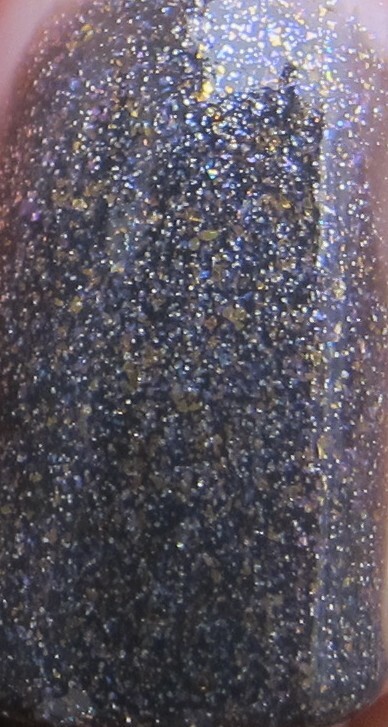 There is some definite gold shimmer in there, and a good hint of pink when the polish hits direct light. Unfortunately, there wasn't any sun when I took these pictures. I think it would looks spectacular in sunlight. 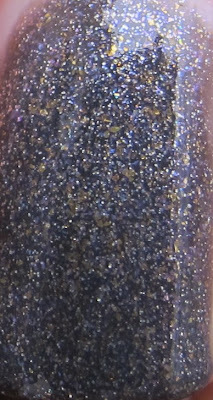 You can see in the macro shot below that the yellow gold shimmer looks a bit larger than the rest of the shimmer particles. This doesn't really add a gold tone to the polish though, it looks more like yellow flecks. Very cool! 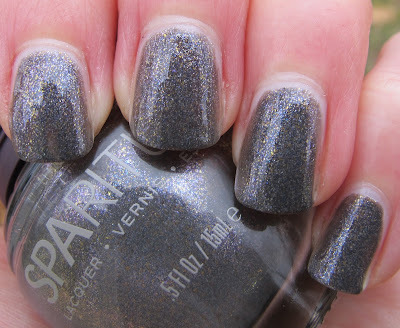 I used three coats of Sacred Ground for these swatches and it was nicely opaque. The first coat didn't go on too evenly and I was a bit concerned, but it smoothed out in the second coat. SpaRitual Sacred Ground is available in both the full size and a mini size on Apothica.com. I purchased my bottle of Sacred Ground with funds given to me by my sponsor, Apothica.com. For more information, please see my Disclosure Policy.